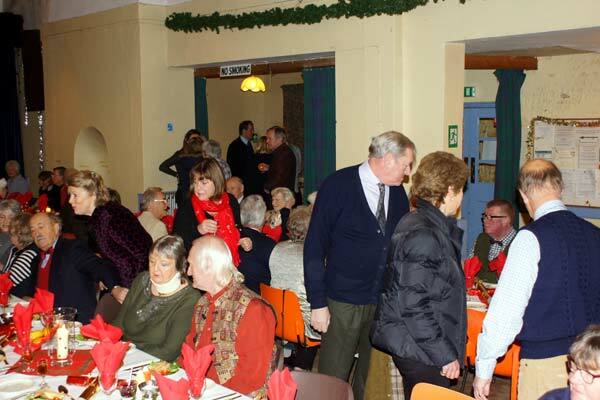 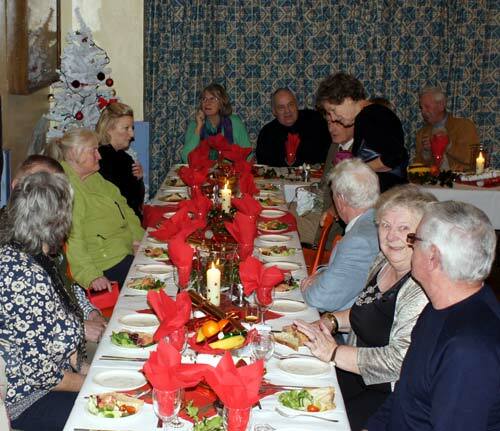 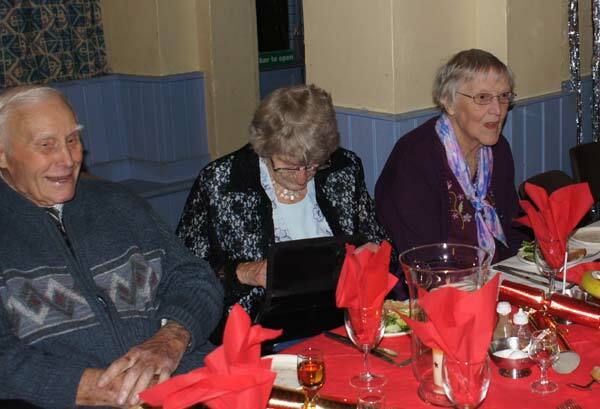 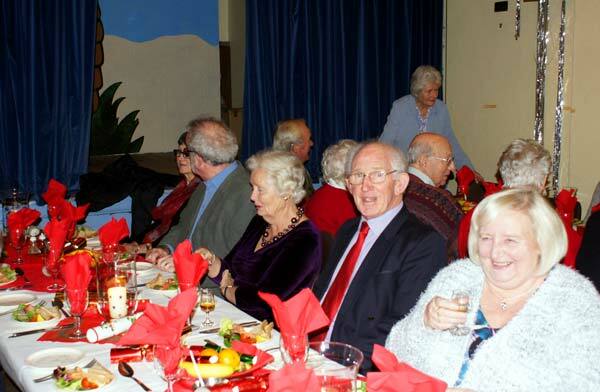 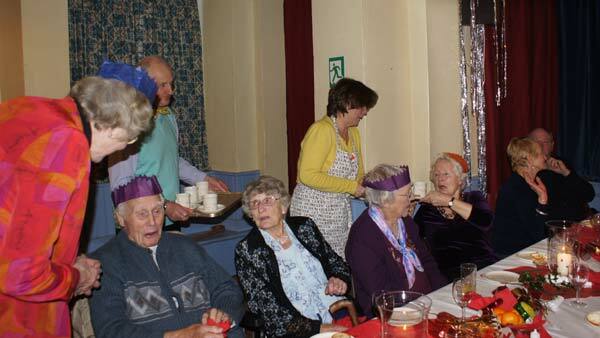 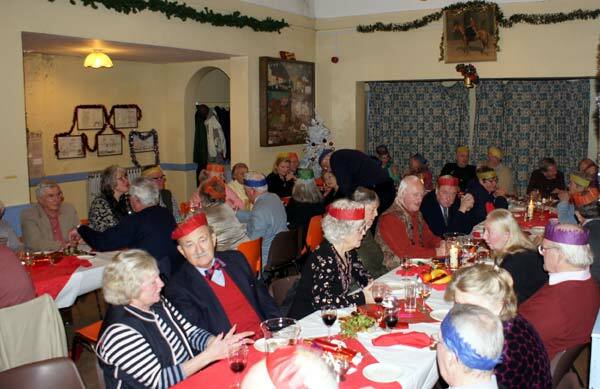 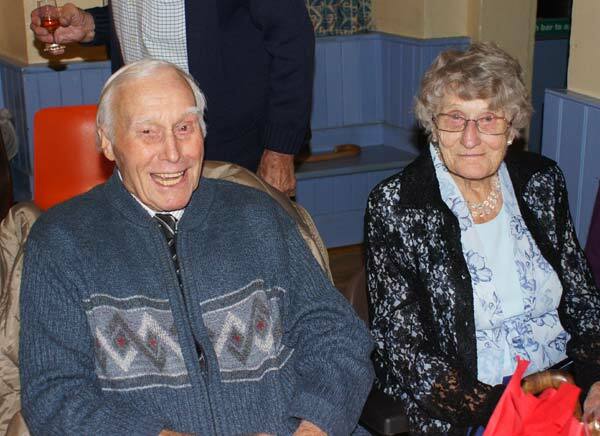 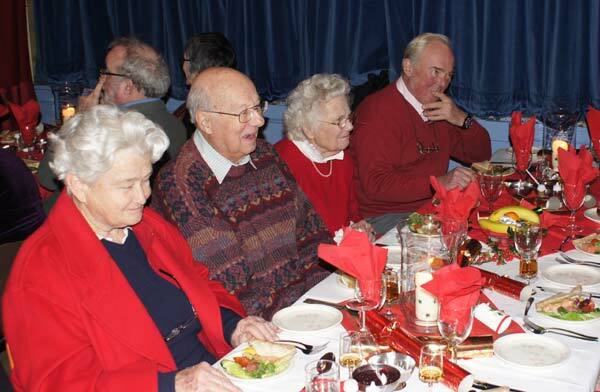 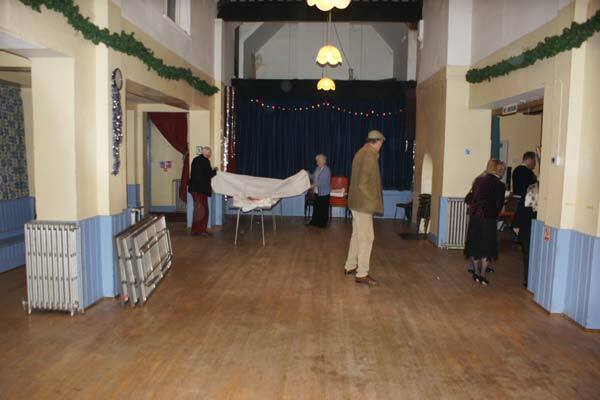 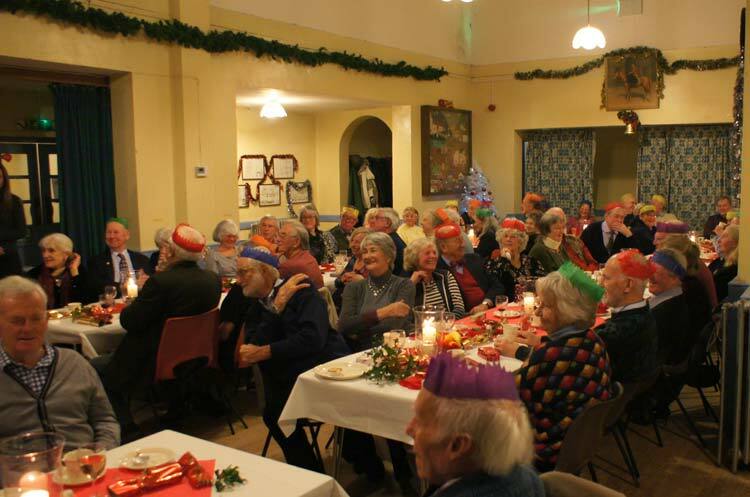 Farringdon Christmas festivities begin in earnest as 76 of the more senior village residents enjoyed yet another excellent Christmas dinner in the village hall. 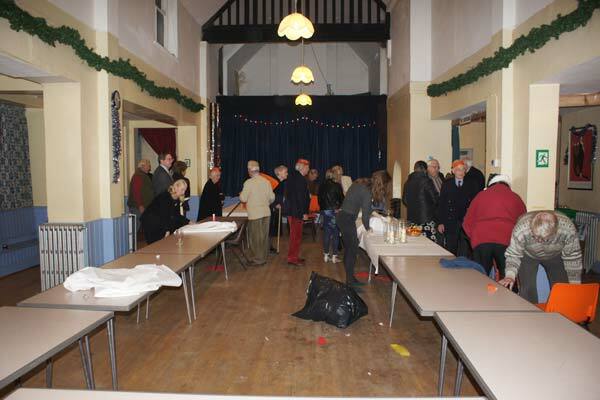 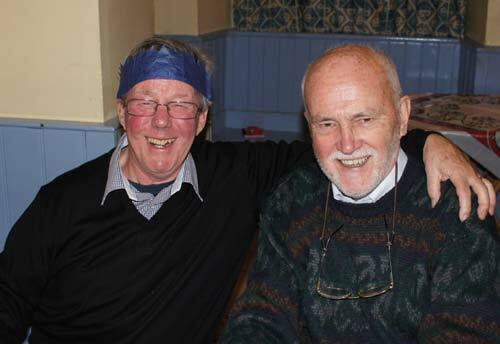 Once again your photographer sneaked across the border to record the event for the village website. 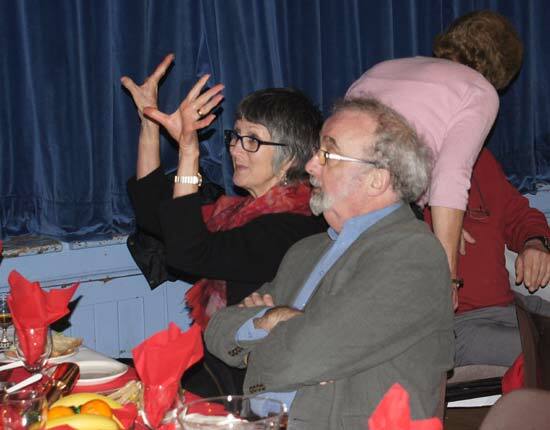 Below are a selection of images from the night, one or two with appropriate captions . 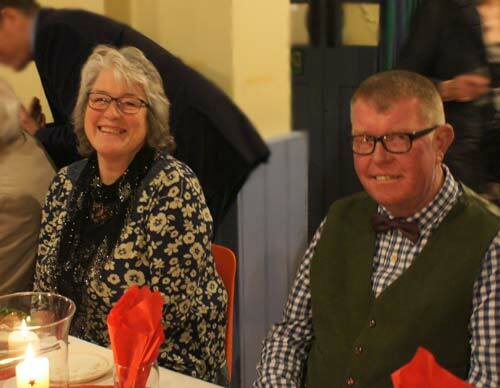 . . . .
Woody was attending his first Farringdon Over 60's dinner having recently qualified for the occasion, with Karen who of course was far too young to qualify in her own right ! 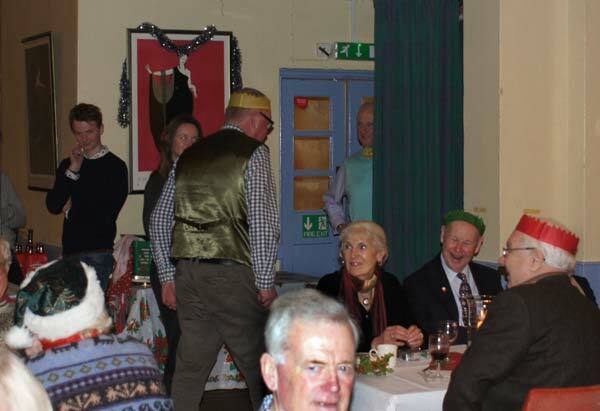 Now the more observant among you might notice something unusual about the image below, which proves once and for all that the resident Maitre d', Mr Tim Charrington, can be in two places at the same time! 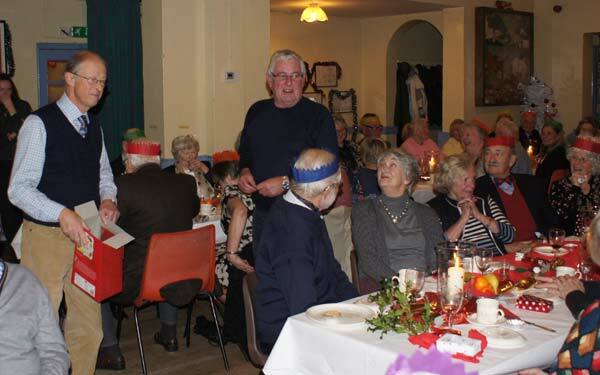 Following the mice pies there were few words of thanks from the Maitre d' with, of course warm congratulations for all the helpers and a special word for Lyn and Catherine and Penny, who left before the speeches and we who we hope is soon back to full fitness. 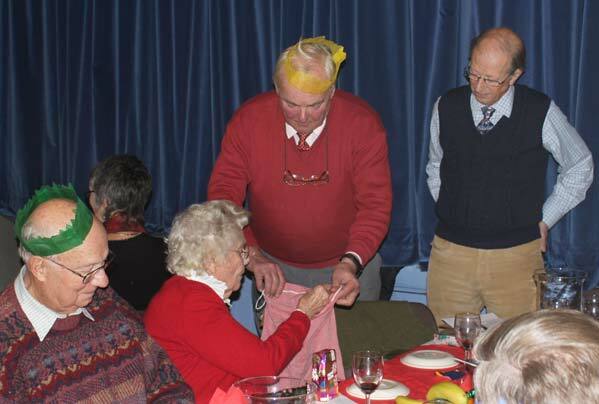 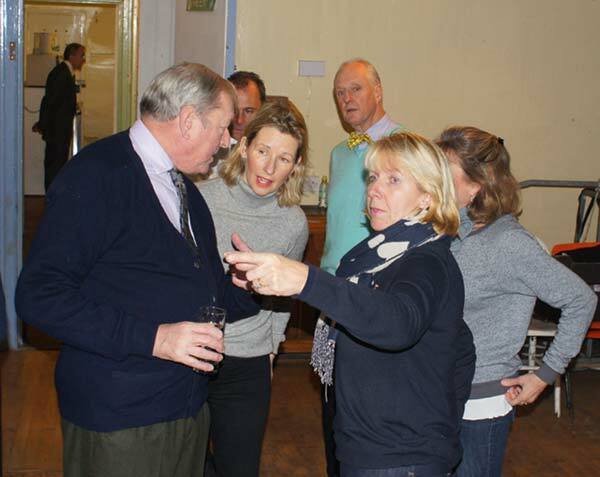 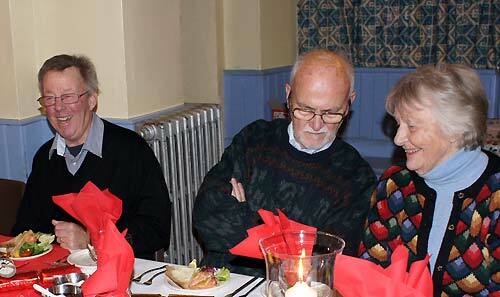 Then it was on to the November Hundred club draw with Pam doing the honours carefully watched by the Maitre d' and David. 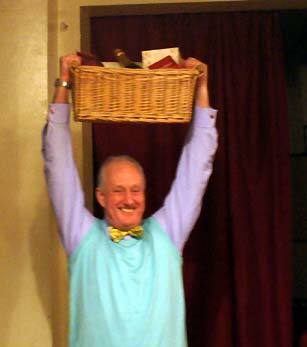 Peter Durrant won first prize this month with Woody picking up the second although the prizes were not actually available on the night - much to Woody's disappointment! 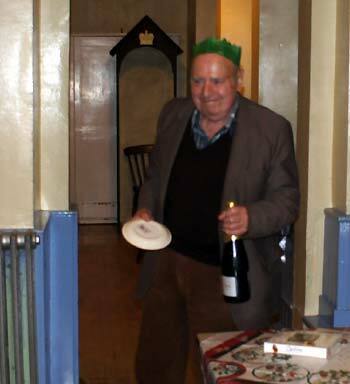 The Christmas Draw included a special prize this year . 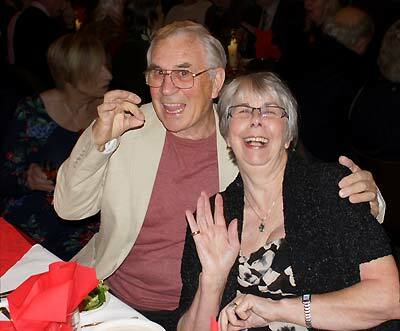 . . .I'll leave you to guess who won ! 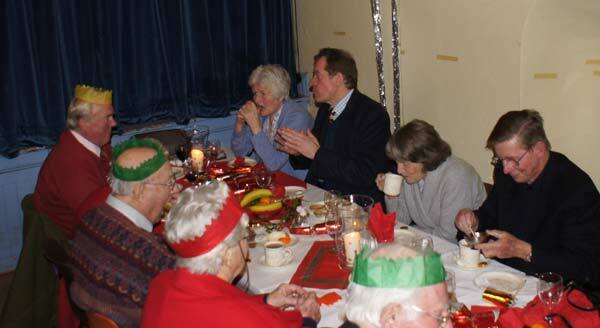 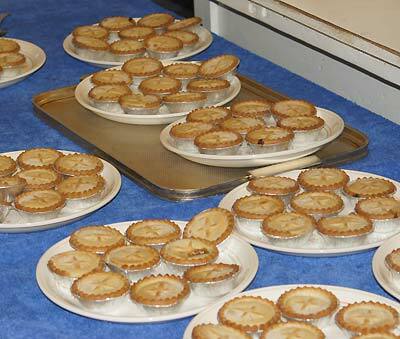 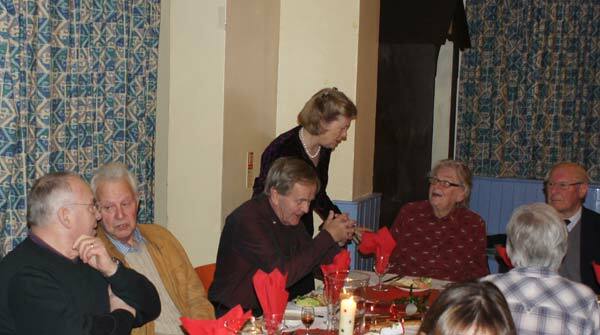 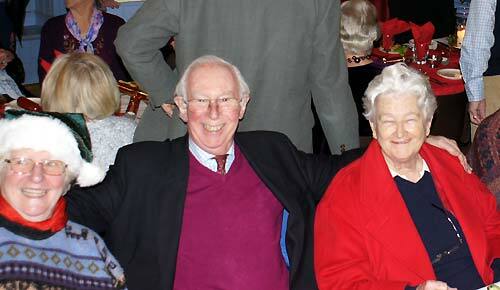 Then it was time for home and everybody seemed to have enjoyed the evening . . . ! 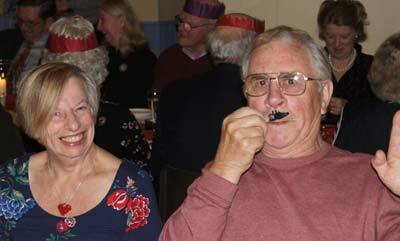 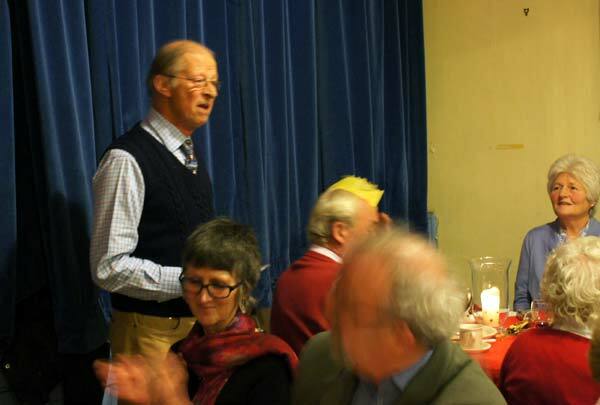 Yet another excellent Christmas Dinner, thanks to everybody who helped make it such a success, if this is to be the last Dinner in the Village Hall ( although this is by no means certain ) the event certainly went out on a high note.